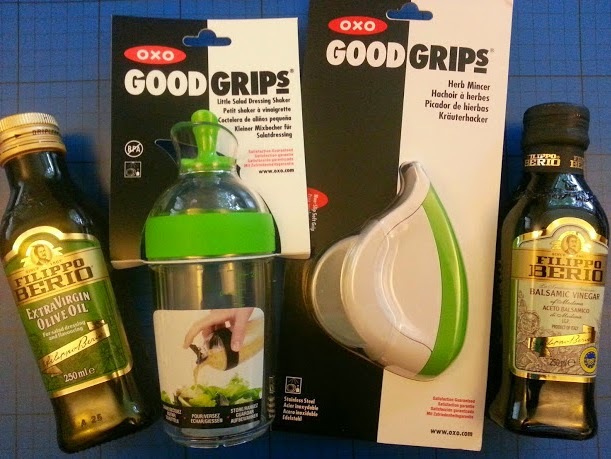 In July Oxo Kitchen Tools sent me 2 of this Summer's new Good Grips kitchen tools to try out. The Little Salad Dressing Shaker and the Herb Mincer really are everything you need to create and serve a multitude of different dressings. To give me some inspiration I was also sent Filippo Berio Balsamic Vinegar and Olive Oil. Combined these 2 ingredients make a Balsamic Vinaigrette, which serves as a great base for all kinds of other ingredients. This will give you a perfectly acceptable dressing, but you can do so much more. Garlic, mustard and honey individually or in any combination will spruce up your Balsamic Vinaigrette, but I want to try my herb mincer to create an Italian style dressing that is perfect for salads, or for dipping bread. As with a lot of my recipes, it's all down to personal taste, so vary your dressing to suit your own palate and needs. On this occasion we ate fresh crusty bread, mature cheese and a Spinach, Rocket And Watercress Salad, so I added Paprika for a gentle kick. 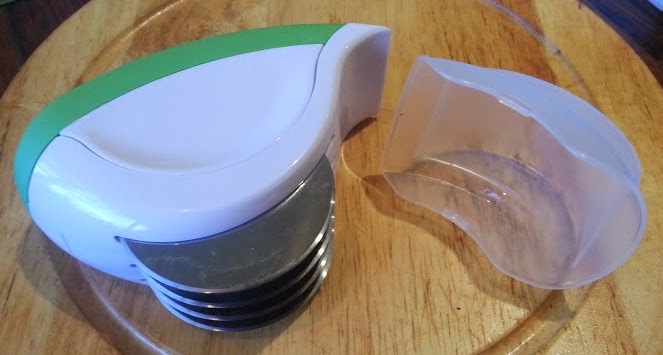 The herb mincer makes really quick work of the fresh herbs, with 4 blades to catch and cut even the most awkward or tiny leaves. The mincer comes with a blade guard for when you aren't using it, and unclips in an instant for easy cleaning. 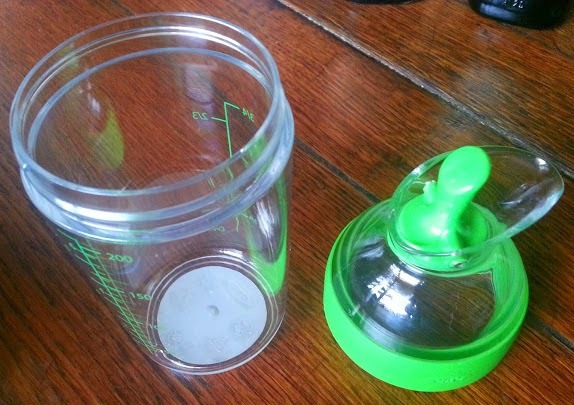 The Little Salad Dressing Shaker has a nice wide neck, angled lip and airtight easy-open pouring lid. 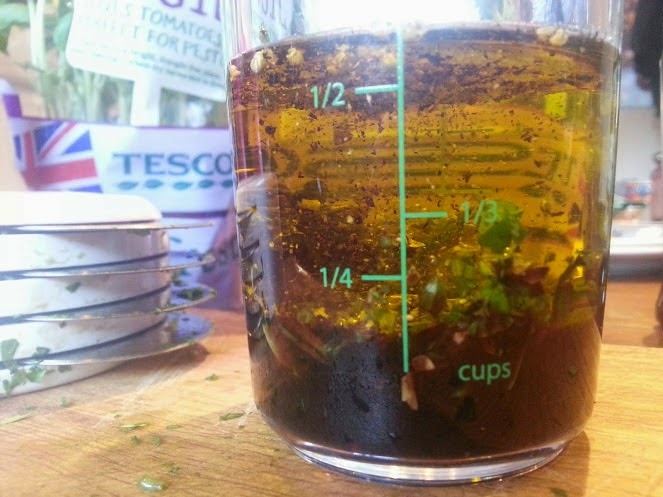 Measurements on the side save on washing up and mean you don't have to guess quantities. It's perfect for the job. I can't think of anything else I'd add. You can fasten it shut and shake to mix your dressing, then store your creation in the fridge for the next 2-3 days with confidence. 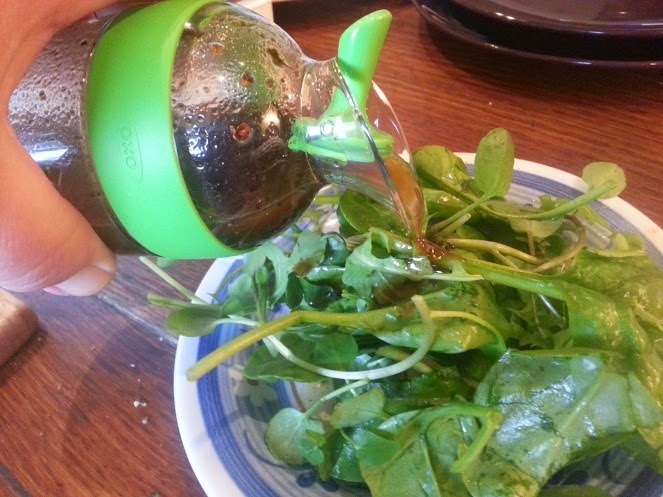 The Little Salad Dressing Shaker is really incredibly easy to use and was a hit all round, as was the dressing. 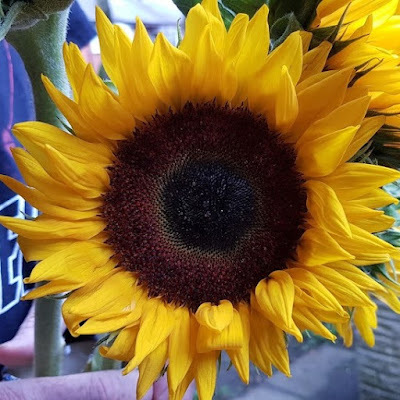 The flavours come together really well, and it gives a good interesting bite, so you can eat it with something which has a delicate flavour, or single texture, such as Chicken breast or baked Camembert, and it can hold it's own against a more powerful dish. 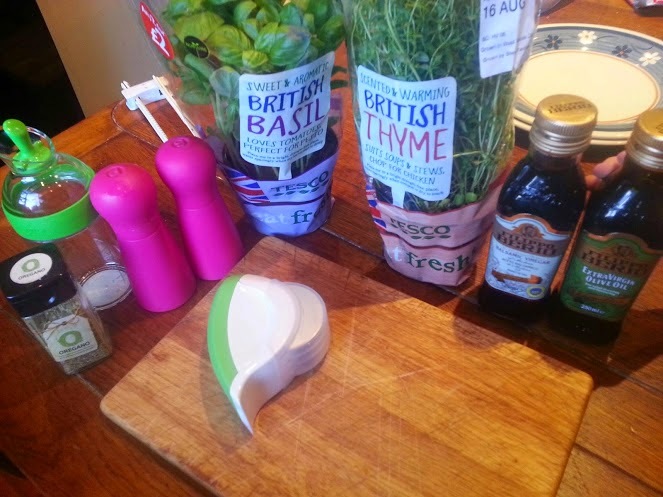 The Oxo Good Grips Little Salad Dressing Shaker has an RRP of £10 and the Herb Mincer is £12. They're available from all good kitchenware stockists including Lakeland and John Lewis. 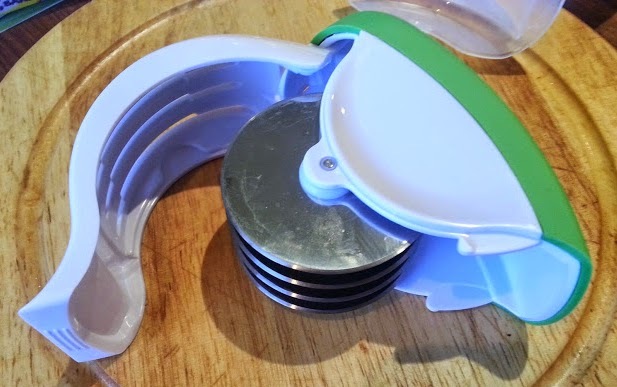 The Salad Dressing Shaker is made from Tritan (a BPA-free plastic), and both items are safe for cleaning in a dishwasher. 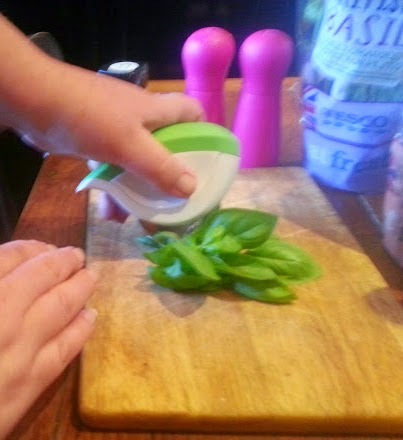 I love the look of the herb mincer, that looks like a brilliant way to finely chop herbs. Both of these products sound like a great way to simply prepare really good ingredients. I love the look of the shaker! 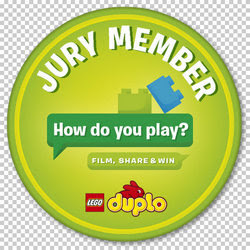 Looks fab - love how little people can get involved with helping chop the herbs with this gadget too! Yum I love a good salad dressing. Looks fab. 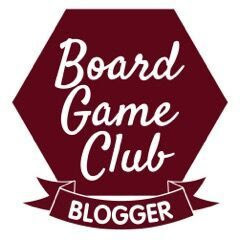 the herb cutter was fab! so easy to use but need to find a bigger space to store it. Love the herby recipe! We've got the herb mincer. I just found it a pig to clean unless I did it straight away.